Battery & Charger are Sold Separetely. Turning the soil doesn't get any easier than with the Stiga SRC 48 AE Tiller, the perfect labour-saving tool for your garden. Stiga's class-leading 48V Lithium-Ion battery provides all the power you'll need. You'll have up to 45 minutes run time with the recommended 5Ah battery, enough to let the tough steel rotors deal with even the trickiest cultivating tasks. With a tilling width up to 26cm and a digging depth up to 12.7cm, the Stiga SRC 48 AE Tiller is an ideal product for any vegetable garden or allotment. 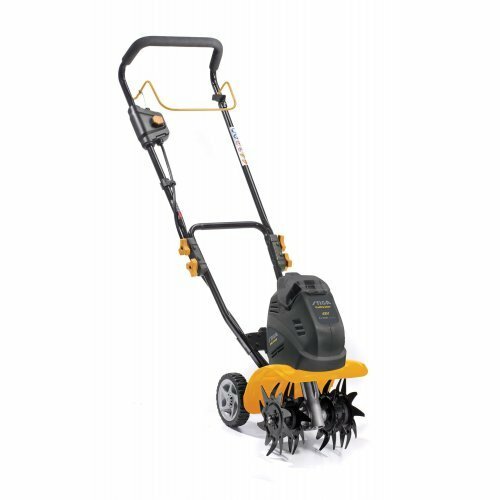 The Stiga SRC 48 AE Tiller is part of the Stiga 48 Volt Powerpack cordless range. One powerful 48V battery, multiple garden tools.